This month’s Design Style Guide is taking you somewhere totally different. Brutalism isn’t most people’s go-to look for their home. However this much maligned style is seeing a resurgence in the design world and new wave Brutalism is showing the world that concrete can be cozy. This is the first style I’ve covered that is more architecture heavy than interior focused. But the guiding principles of Brutalism can still be applied to contemporary interiors to create a warm, welcoming home. Definition Brutalism is largely defined by the use of raw concrete. But the style was born of the Mid-Century Modernist movement so there is heavy focus on the use of natural, locally sourced materials, plenty of natural lighting, and minimal furnishing. There is emphasis on uniformity, and often geometry plays a big part in the design. There is a stripping away of ornamental elements with the design strongly focused on form and function rather than decoration. 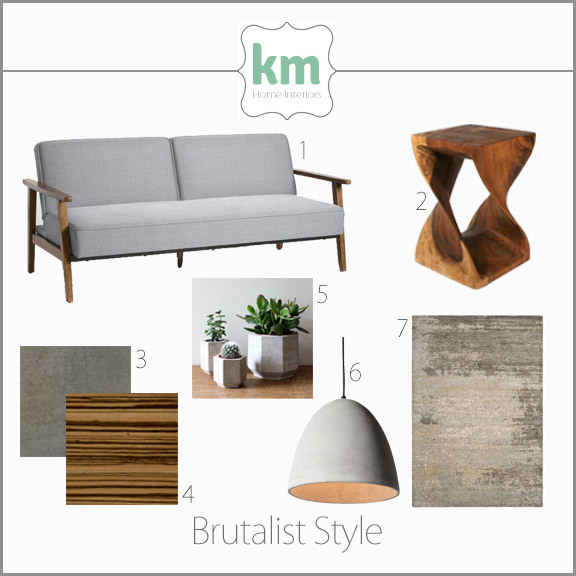 Unlike Minimalism and its focus on high-end finishes, Brutalism encourages simple materials and finishes. History Brutalism first took hold in the 1950’s as an answer to the ostentation post-War designs on the late 1940’s. It quickly became a popular style for government buildings and socialist societies because of its uniformity and simplicity. Interest in Brutalist buildings faded in the 1980’s, however the last few years has seen a renewed interest in reviving the style as people look for minimalist spaces without the high-end furnishings. This new wave of Brutalism has a strong focus on more incorporation of natural materials and different finishes for the concrete, making spaces warmer and more welcoming. Spot the Style Concrete is the biggest component of a Brutalist building, but the interior finishes are often warm, natural materials. Often the concrete will be incorporated in several different ways. Polished for flooring, raw for support columns, stacked bricks for walls. Concrete can also be stained and stamped to create interesting countertops in the kitchen and bathroom. The strength of concrete allows for huge open plan spaces with high ceiling that are flooded with light thanks to plenty of windows. Far from cold and dark, these rooms are often bright and cozy. Locally sourced, natural materials are also used in Brutalist designs. Warm wood flooring and furnishings, natural grass window treatments, and plenty of plant life are important elements. New wave Brutalism often incorporates pops of bright color to liven up the monochromatic color palette. The key is simplicity and function – no unnecessary decor, every piece has a purpose. 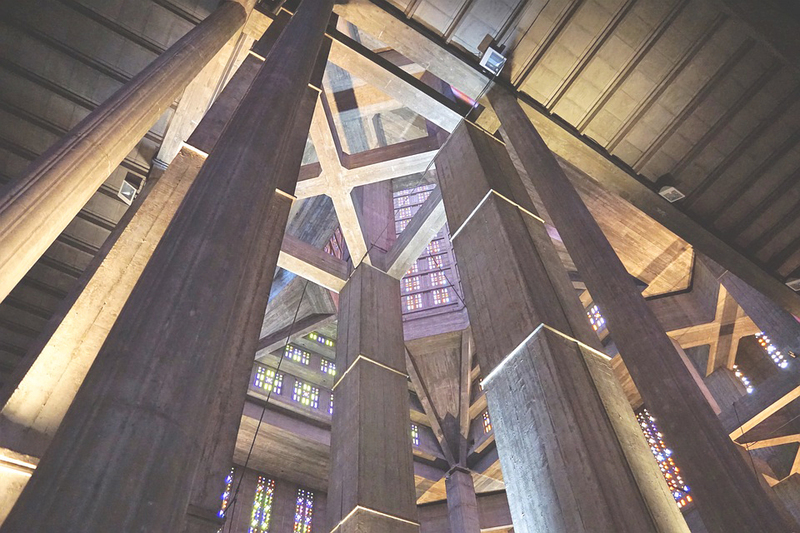 Notables One of the biggest names in architecture was also a pioneer of the Brutalist movement. Le Corbusier called his choice of building material “beton brut” or “raw concrete” and from this the term Brutalist was born. More recently, young architects are revisiting this style and turning it into something entirely new, creating welcoming designs that still honor natural, locally sourced materials. Binh House by VTN architects is a beautiful example of this new wave of Brutalism.